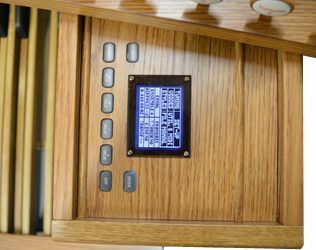 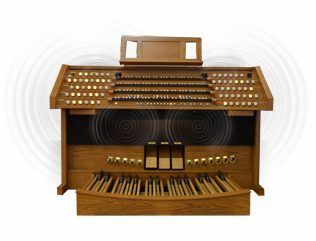 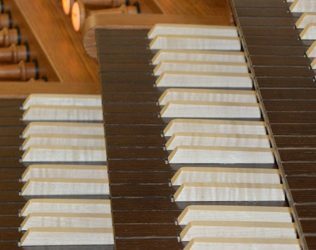 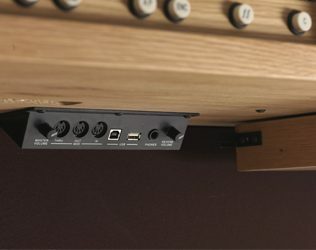 The OUVERTURE is an organ with 4 keyboards, complete pedalboard and 55 registers - each of which can select hundreds of organ and orchestra voices. 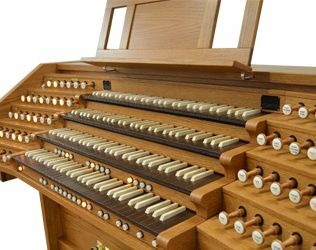 There is also an orchestra register for every section of the organ which can be selected from the numerous options available. 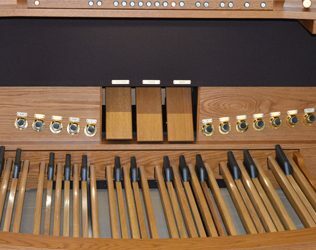 4 x 61 notes "tracker touch" keyboards, with velocity control for MIDI and Orchestra sections.